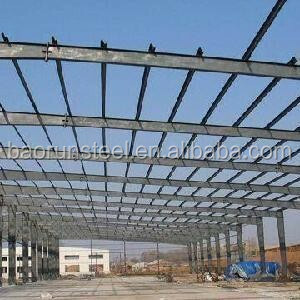 China Qingdao Baorun Steel Structure Engineering Co., Ltd possesses Grade one qualification certification for contracting steel structure projects issued by China Mininstry of Construction, is among the first batch of enterprises accredited through the ISO 9000:2000 quality management system and environment/profession health and safety system. 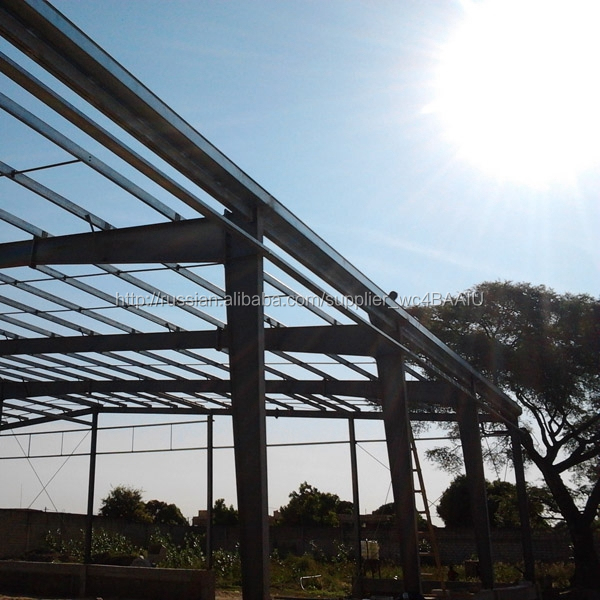 Qingao Baorun Steel Construction Engineering Co., Ltd is China Steel Structure Association member, China metal structure construction Association, Shandong province constructs of the technology association member. Our company has been rated as "AAA"Creditable Enterprise", "Enterprise Adhering to Heavy Credit of Contracts" Over the years, Advanced technological equipments and machineries are the guarantee of excellent project quality, at present we have introduced the most advanced steel structure production line ,color steel plate production line, Z section, C section, all kinds of rooftiles, wall tiles machines production line. Shot-blasting equipment, arc welding machines, physical and chemical test-correcting devices and other professional production and fabrication equipments. 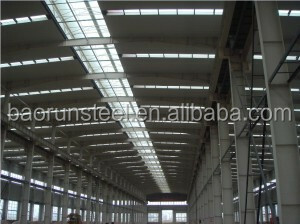 We could process more than 20000mt steel structure and 200000 square meters color steel plates annually.